When House Beautiful gave Susanna the exciting news that they were going to come and shoot her Connecticut home for the magazine, we knew instantly it would made a fun behind-the-scenes video. 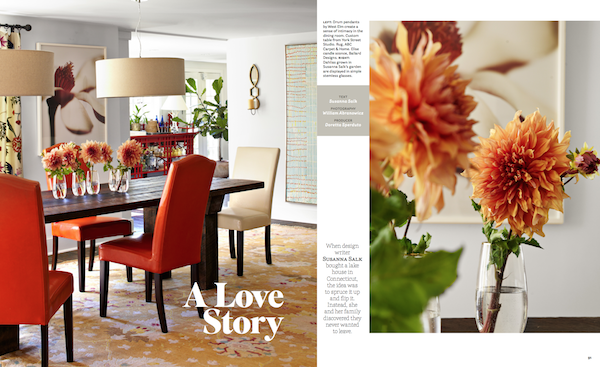 It was fascinating to see acclaimed photographer William Abranowicz and his crew at work and House Beautiful Interiors Editor Doretta Sperduto made all the styling look effortless. The only hiccup was posing the dogs. Please join us for a sneak peek at just a bit of what goes into creating the alluring pages of House Beautiful. These couple of minutes capture the final moments of what has been months of preparation. From original scouting shots to final propping, the magic of what you see in the pages represents the talents of designer, editor, photographer and support of many. Be on the lookout for the vibrant November issue of the magazine in your mailbox and on newsstands soon. And see how Susanna turned a would-be project into a much-loved family home. This entry posted in interior design, Quintessence video series, Stylish Shopping. Entry Tags: design video, House Beautiful, interior design, William Abranowicz Bookmark the permalink. Absolutely my favorite post ever. So so true about the behind the scenes panic and joy and excitement and insecurity and again excitement. The end scene with your pup left me with tears. I don’t know why but it was so in line with how chaotic a shoot can be and then that perfect shot emerges and all the stars align. Congrats!! Fantastic. I can’t wait to get my copy of HB. Love those pups. Susanna, Your home is perfect with or without its makeup on! Love your setting and style so very much! Thank you everybody for your enthusiastic and supportive words:I’m so glad you like the video.it was such an honor to host everybody and thank you to Stacey especially! Love this! The home was ready for Harvard, and the dogs are darling – just let them do it their way, right? I loved this video! It was exciting, insightful (scope of work involved), and a gorgeous country home. I watched as though it was happening in my own home. I also loved that it was a fall shoot my favorite season! Just got a notice on my IPAD the digital version of HB is ready to download! Going to check this out now! So nice to have the whole world see the madness behind the perfectly groomed images .. and congrats to Susanna for having her home featured in the issue! How exciting..
Love this video S! but think the true stars are the pups! Love this post! I feel like I am always getting my house ready for a photo shoot.. It’s a sickness really.. But I am so happy when I’m prepping vignettes and arranging flowers. Love it! The video was just wonderful!!! Congratulations and I can’t wait to see the magazine. Thrilling! Even your dogs were so excited they couldn’t sit still for a photo; who can blame them, it’s House Beautiful! Congratulations. 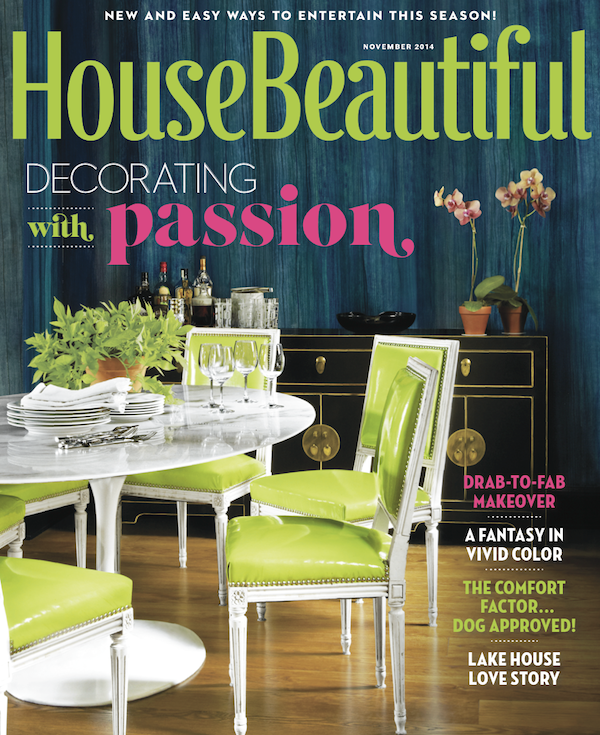 Your writing in the November 2014 issue of House Beautiful lured me into your site. You are so fun and funny! The home you fell in love with is adorable too. Nothing like having water around you. We have it at our cabin all summer and it’s so hard to leave. Keep up the wonderful writing and decorating! 82 queries in 0.942 seconds.